The road to this spellbinding debut release by Brandy Clark may have been long but not a minute of life experience, observation and absorption of influence has been wasted as 12 STORIES captures the very essence of what country music is all about. 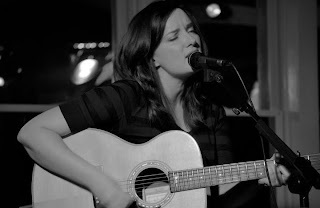 From her raising in quintessential small town USA, also known as Morton, WA (pop 900) to the recent success as a hit Nashville songwriter, Brandy has honed a talent to analyse, articulate and convey the truth in an uncomplicated song style not far from the proverbial ‘three chords’. The re-assuring down to earth vocal delivery cements these attributes to package an anthology of real life pain, anguish, trepidation, temptation and regret with a small dose of black humour to show a glint of light. With the encouragement of Marty Stuart and under the guidance of Dave Brainard (Jerrod Neimann), Brandy has produced a stunning collection of 12 masterpieces that easily rivals the highly marketed output from her pure song writing role. At a time when modern country’s respect to the past is in vogue, the moment for recognition may be upon Brandy and she certainly has a product which tips its hat to Haggard, Lynn, Wynnette and Jones. The evidence laid out in the content of 12 STORIES suggests that a potential for sustained longevity will counteract any industry fickleness as found in the careers of those Wine, Women and Song luminaries – Gretchen Peters, Matraca Berg and Suzy Bogguss. The initial focal point of the record has been the upbeat, humorous yet slightly dark ditty ‘Stripes’ which takes a left field view of country music’s obsession with cheating and revenge. The wit and irony of the lyrics will leave their mark with a bass fused beat not too dissimilar to Carrie Underwood’s ‘Before He Cheats’. Brandy has been the co-architect for some of the recent Kacey Musgraves material and album opener ‘Pray to Jesus’ could easily have found a home elsewhere as this intuitive observation of folk hedging their bets between religion and the lottery unveils a deep perception amidst a memorable melody. While all 12 accounts are written from a female perspective, the mood swings from a touch of sympathy for the downtrodden subject of ‘Get High’ experimenting with different states of mind to a damnation of those featuring in ‘Illegitimate Children’. This waltz-like tune graphically depicting a cross town scene is definitely a joint leader in this coalition of classics sharing top billing with the adorable tale of extra marital anticipation ‘What’ll Keep Me Out of Heaven’. Closely following this pair of standout tracks is the tear jerking late night smoky ballad ‘In Some Corner’ using a combo of pedal steel and piano to spill the beans of regret with the immortal line ‘there’s a jukebox playing Jones’ painting the perfect image of self-reflecting solitude. While the highs are many, the only lows exist in the sad content of numbers such as the solutions to life’s problems in ‘Take a Little Pill’ and the realities and decisions as depicted in ‘Hungover’. The stories that Brandy has wonderfully collated over the years have almost singularly inspired her song writing and the spectrum of emotion continues to fluctuate from the defiant optimism of ‘Hold My Hand’ to the sad realisation of ‘The Day She Got Divorced’. The profound impact of this record is relentless even as we head to its closure with the tender heartbreaking flawed-father song ‘Just Like Him’. The use of fiddle on this track is appropriate as is the distribution of sounds on many other tracks such as the banjo gracing the feisty ‘Crazy Woman’ earlier on the album where the recognition of female flaws is upended by the cutting finale of being ‘made by crazy men’. In much the same way ‘Stand by Your Man’ has that twisting subtle stab of ‘after all he’s just a man’. 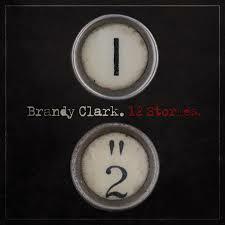 12 STORIES is how a country record should be made and Brandy Clark has eclipsed her compatriots Ashley Monroe and Kacey Musgraves in delivering a far more thorough and consistent release that bridges the generation gap as well as tackling the issues of reality from a multitude of angles. After its October 22 release, it will take a truly exceptional album in the final ten weeks of the year to knock 12 STORIES off the number one spot.